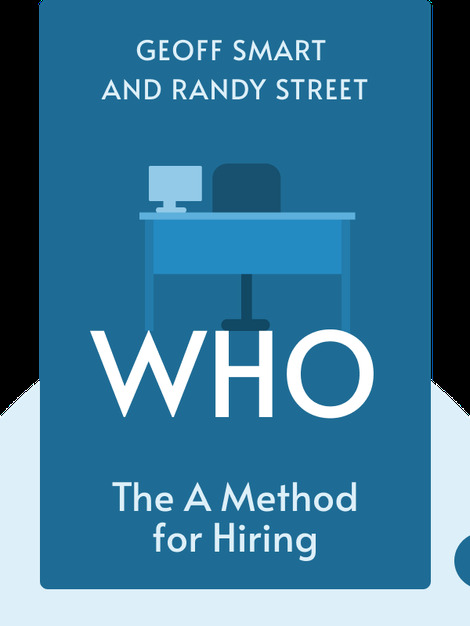 Who (2008) is your guide to the greatest problem that faces every business leader: how to hire competent staff. 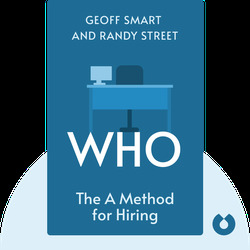 These blinks are chock-full of actionable tips on how to ensure your firm has a steady supply of adept candidates to choose from and that all your hires are in step with your goals. Geoff Smart runs the consulting firm ghSMART, which helps business leaders increase their impact and achieve their goals. His other book, Leadocracy, was also a New York Times bestseller.